CartServices is one the most successful autocheckout bot on the market (and one of the cheapest one). It helps to get limited edition items as fast as possible. 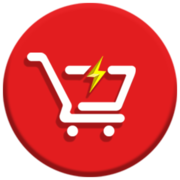 CartServices is the most successful autocheckout bot on the market (and the cheapest one). It helps to get limited edition items as fast as possible. Of course, you can buy hyped items manually, but be ready to spend ages in front of your computer. So for the symbolic fee, CartServices allows buying products as soon as they go on sale. You have to grab the chance.